With our specialist knowledge and comprehensive product range, we offer clients a graded, logical range of environmentally friendly hydraulic engineering techniques from erosion protection and soil bio-engineering technologies to patented high-energy capacity structures. 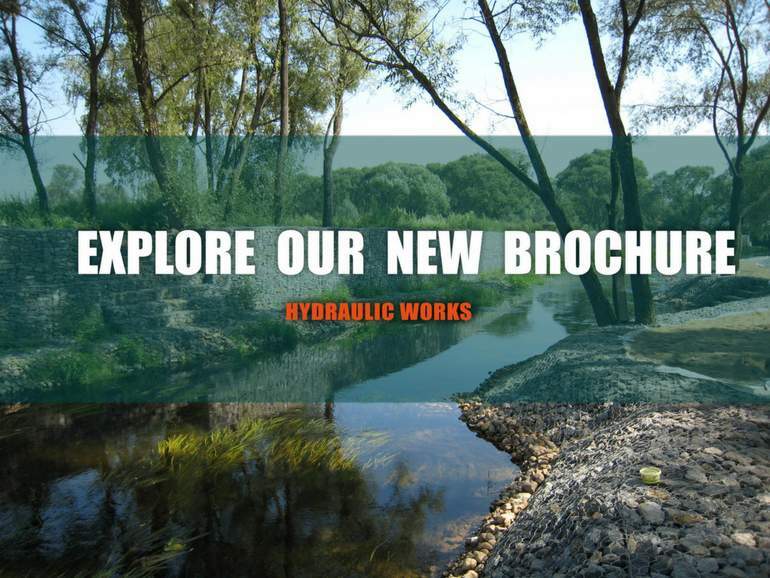 Our experience in hydraulic works started in 1893, when Raffaele Maccaferri invented the famous gabion ‒ a flexible, permeable and monolithic structure filled with rocks ‒ while carrying out erosion protection and river channel reconstruction works along the River Reno, in Bologna, Italy. We changed the landscape of civil engineering 130 years ago and we now possess particular expertise in the protection and training of rivers and streams. Whenever possible, we opt for ecofriendly solutions and apply bio-engineering technologies since the early stages of our projects, so that these can be successfully integrated into the environment. Our approach follows a principle of “minimum energy consumption”, based on reducing the environmental impact of our solutions. In fact, our Reno Mattresses and gabions show a lower carbon footprint than equivalent traditional engineering solutions, thus helping preserve fragile ecosystems. Double-twisted (DT) wire mesh containers are filled with rock at the project site to form flexible, permeable, monolithic structures to promote rapid growth of natural vegetation. The blending of these double twisted product structures into the environment is rapid and pleasing. The voids in the rockfill become progressively filled with silt, promoting vegetation growth which is essential to the preservation and maintenance of the ecological balance of the surrounding environment. Our hydraulic works design software application MacRA enables us to design efficient interventions from low-flow, low energy requirements to large river or estuarial projects. Bespoke cross-sections can be modelled in conjunction with the type of hydraulic erosion protection selected. The performance of the channel can be checked for unvegetated and vegetated conditions; a library of channel soil types, natural materials, erosion protection materials, soil bio-engineering techniques as well as gabion and mesh products are also included within the software database. Please download our new brochure and learn more about our technical capabilities. If you need technical assistance in the field of hydraulic engineering, please contact us!